Britain’s aging nuclear power plants are vulnerable to terrorist attacks by unmanned drones that could kill thousands of people, a government adviser has warned. John Large, an engineer for Britain’s Atomic Energy Authority, says ministers are ignoring risks posed by nuclear terror assaults. 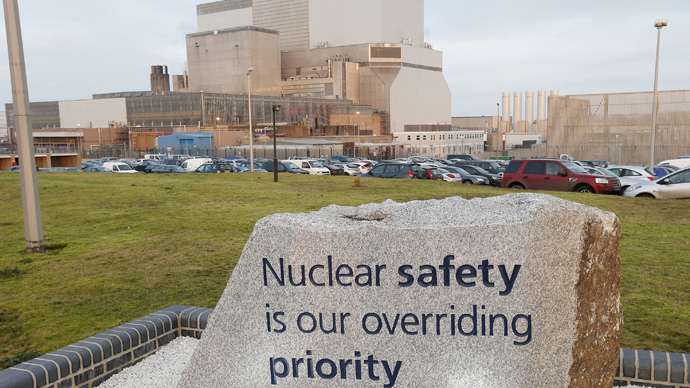 Nuclear power stations around the UK suffered 37 security breaches in 2014 – the highest number since 2011. Large is calling for urgent security reforms. He is also demanding the government set up a major operation to test the resilience of Britain’s power plants against prospective attacks. Too much energy is focused on risk assessments relating to accidents at nuclear power plants than potential terror attacks, the engineer argues. In a bid to sketch out contingency responses, Large analyzed a series of hypothetical attack scenarios. Each one’s scale of devastation varied, with casualties ranging from one to tens of thousands. The engineer concluded unmanned aerial vehicle (UAV) access to nuclear plants in the UK “is relatively unimpeded.” He said drones pose a real risk to Britain’s 16 nuclear reactors. As the Islamic State (IS, formerly ISIS/ISIL) continues to wreak bloodshed in the Middle East, counter-terror experts say the group plans to create a “dirty bomb” for use in the West. IS militants are already thought to have recruited chemical weapons experts to assist with this objective. Conservative MP Mark Pritchard, a member of Britain’s Joint Committee on the National Security Strategy, said Large’s policy suggestions would be considered seriously by the government. A spokeswoman for the Department for Energy and Climate Change (DECC) said security at Britain’s nuclear plants is of the “highest possible standard” and is under constant review. Large’s policy recommendations follow a recent warning regarding cyber terrorism. Last month, Russian security expert Eugene Kaspersky, who advises the UK government, Europol and Interpol on cyber security issues, said most states lack adequate systems to defend themselves in the event of a severe cyber-attack. Prime Minister David Cameron and US President Barak Obama resolved in January that British and American intelligence officials would test the defense capabilities of critical institutions during a series of cyber war games scheduled to kick off later in 2015. The first war game will test financial institutions in London and on Wall Street. Later exercises will test other infrastructure, such as power suppliers and transportation systems.